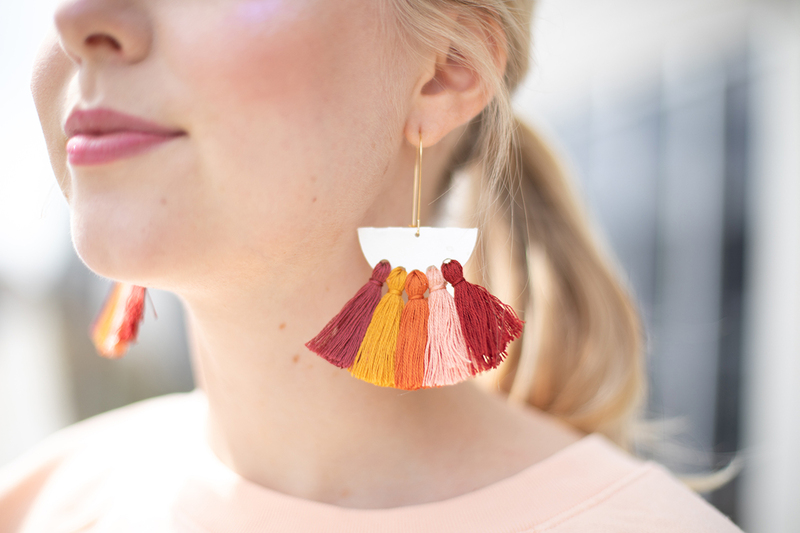 We love the look of tassel earrings so much, so we decided to create our own. 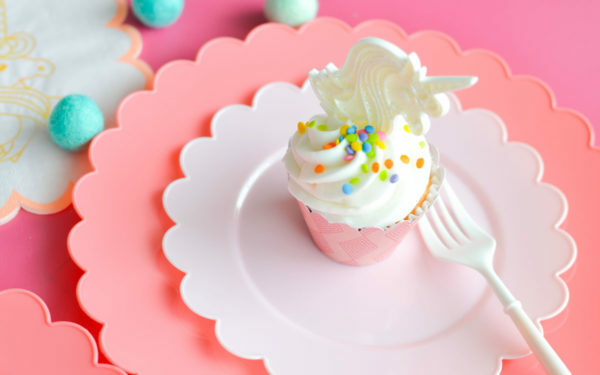 This is a super simple and affordable project that is perfect to do while binge-watching your favorite shows! 1. Select Design ID #52809. Resize it to the size you would like. We wanted it a little shorter and wider. 2. 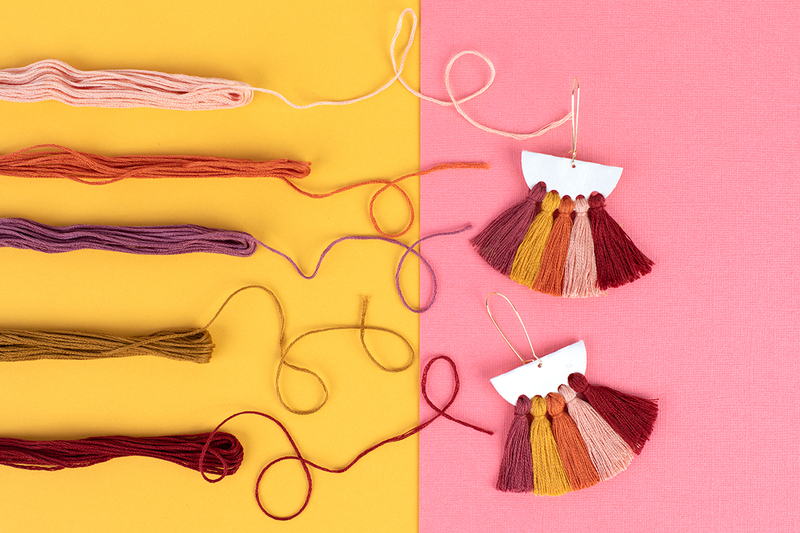 Draw circles to the size you want the tassels to hang. 3. Place them near where you would want them in the design and then select all three by pressing Shift on your keyboard and clicking on all three. 5. For the half circles, draw a full circle first. 6. 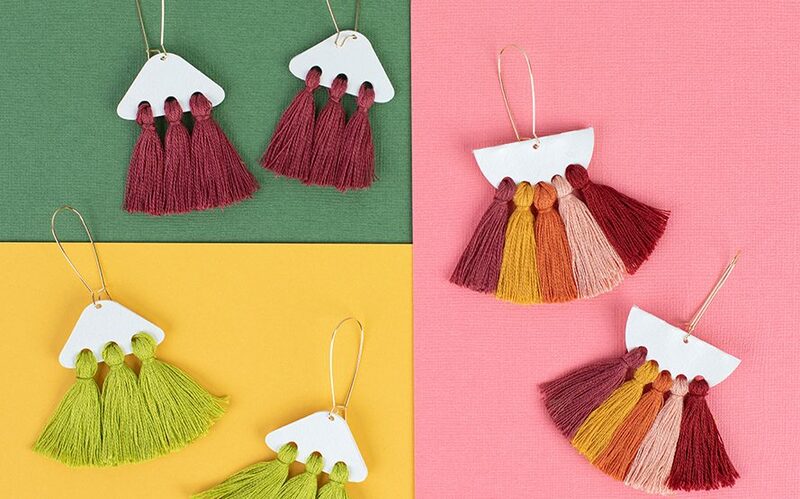 Draw small circles where you would like the tassels to hang. Draw a smaller circle where you want the hook to hook into the earring. 7. 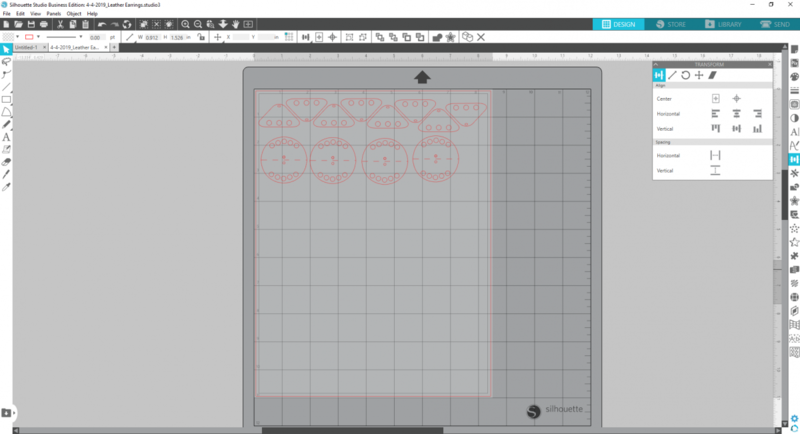 Align the circles using the Transform panel and adjust as needed. 8. Draw a perforated line through the center of the circle so you can just fold and glue. 1. Head to the Send panel and select Leatherette as the material, cutting as the action, and select the blade you’re using. A fabric blade or a blade set aside just to cut fabric works best. 2. Weed away the extra material around the earrings. 3. Fold the circles and glue with super glue. Stack the triangles on top of each other and glue together to make a thicker and more finished product. 1. Thread an embroidering needle with the embroidery floss of your choice. 2. 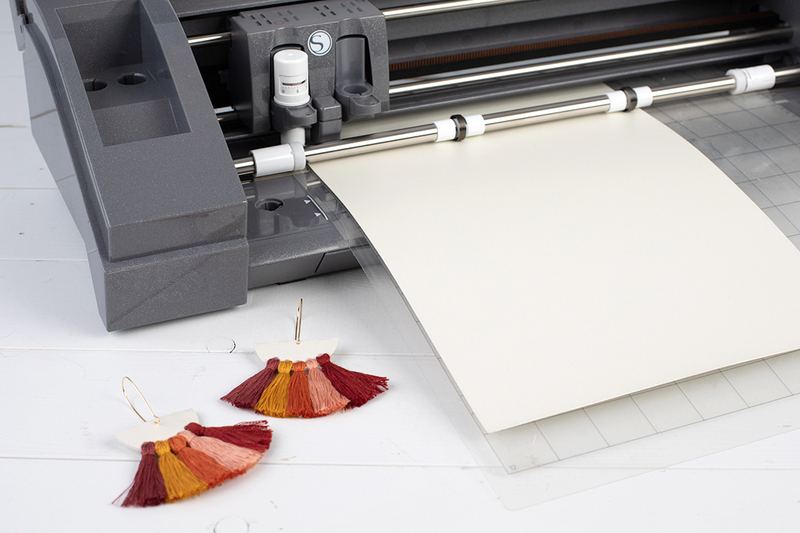 Cut a piece of cardboard or cardstock the length you would like your tassels to be. 3. 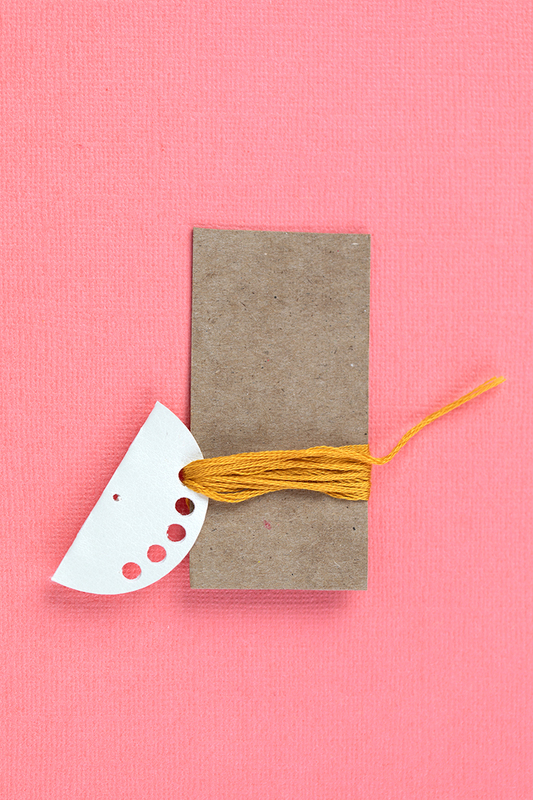 Stick the thread through the hole and wrap repeatedly around the cardboard until you get to the thickness of tassel desired. 4. Pull the cardboard away and grab a loose piece of thread to gather and tie the threads. Trim off the edges and cut through the gathered thread. 5. Use a fine tooth comb to comb through the thread, making it look more gathered and fine. 6. Repeat until all holes have tassels. And there are your earrings! 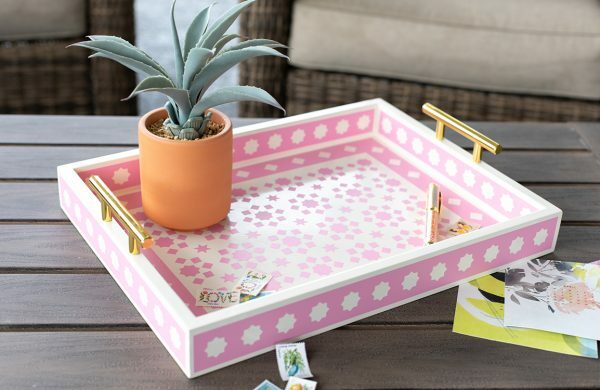 You can use lots of different colors or patterns to make it your own. What colors will you use?